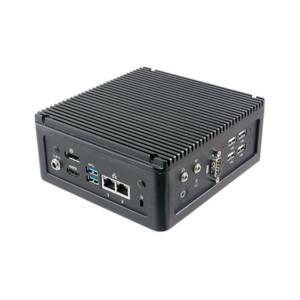 The VMS-APL Industrial Embedded PC uses efficient Intel® Pentium, Celeron and Atom processors. The smallest CPU, the Intel® Celeron N3350, is a dual-core processor with a 1.1 GHz base clock for moderate tasks. 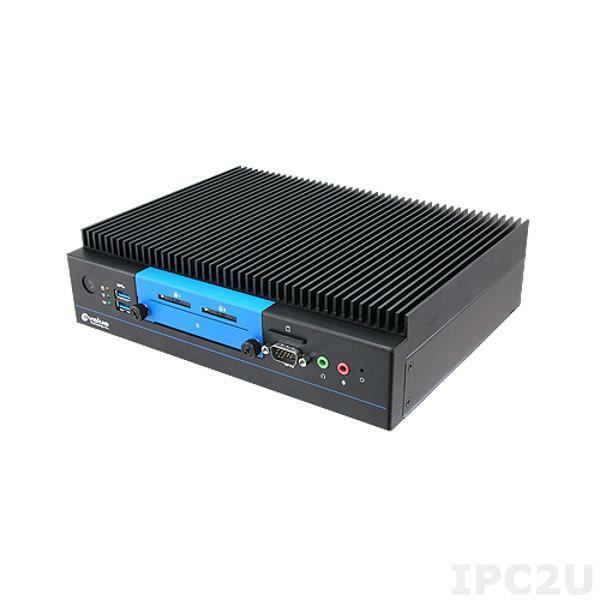 The most powerful CPU option for this system, the Intel® Atom x7 E3950 processor with four cores and a 1,6 GHz clock. The DIMM slot supports 204-pin SO-DIMM DDR3L modules with a maximum bus speed of 1866 MHz. 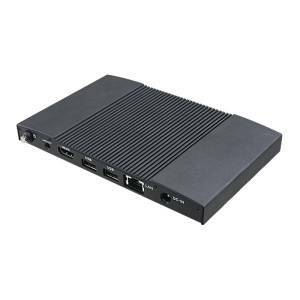 The many I/O options are remarkable considering the small size of this system: DisplayPort, LVDS, 8-bit GPIO, M.2 SATA, SD card slot, 2,5“ SATA, two Line-Out, two Mic-In, two RJ45, two serial connections as well as four USB ports. The mainboard was fitted with a ubox M8N GNS module with GPS/QZSS, GLONASS and BeiDou support to enable a precise locating everywhere in the world. 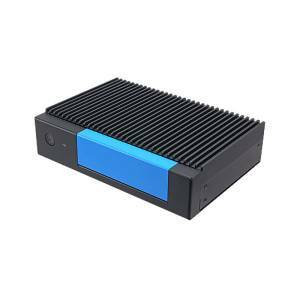 The fanless rugged case is very robust certified by the MIL-STD-810G certification. The device can be woken up using RTC/SMS if a WWAN module is installed, which is also a prerequisite for the device working with SIM cards. A CAN module with OBD II and SAE J1939/J1708 support is also available upon request. External screens can be run using the graphical processor of the integrated Intel graphics card, which differs depending on the CPU. 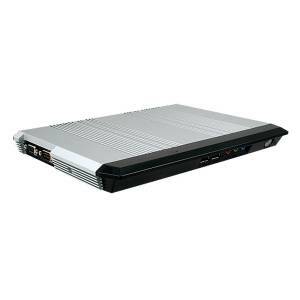 N4200 and E3950 use an Intel® HD Graphics 505, if a N3350/E3940/E3930 processor is used the Intel® HD Graphics 500 is used. The maximum resolution for both is 4k@60Hz, the LVDS port delivers a maximum resolution of 1920x1200 (16:9) and dual screen operation is also possible. The audio chip on the mainboard is the common Realtek LAC892 with good support by most software. Two Intel® I211AT gigabit ethernet controllers ensure fast and stable network connetions.